It’s the first day of March and that means it’s time to start thinking about Easter! If you are like me you’ve already begun planning your menu. 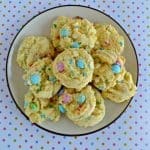 I’ve been working hard on a few new dessert recipes and side dishes for Easter. The other thing I’ve been working on is decorating for Easter dinner. 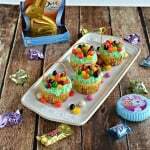 While flowers are always an option for a centerpiece I thought an Edible Easter Centerpiece would be fun! Imagine a bright and creative centerpiece that family members can munch on while waiting for dinner. I couldn’t wait to get started. and Mars Chocolate Spring Mixed Minis Bag. 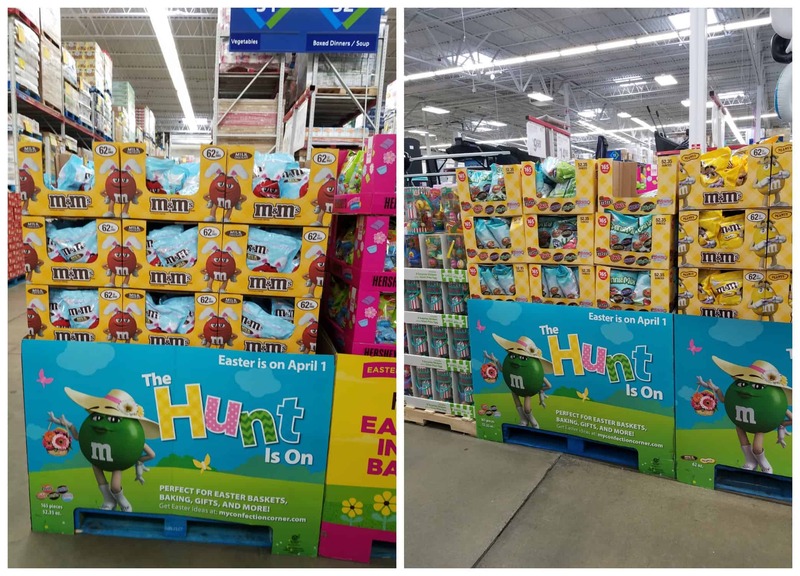 Both are great for filling Easter baskets and for decorating! 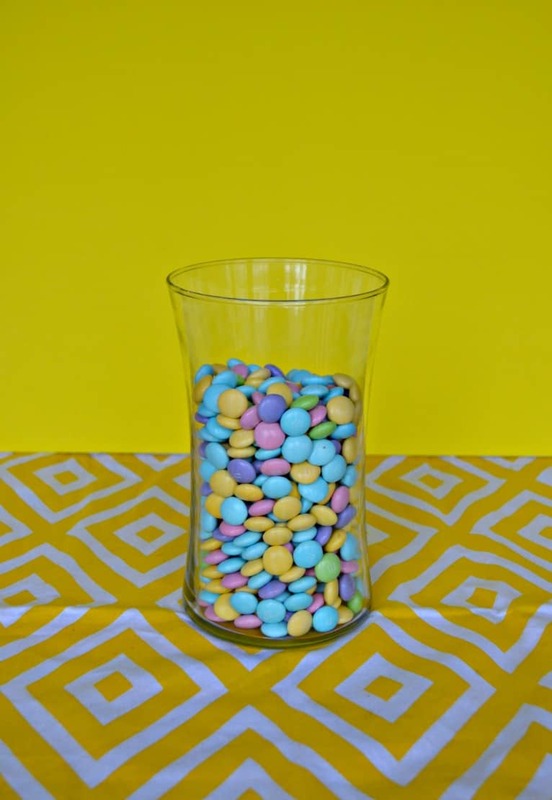 I started out by filling a vase with Pastel M&M’S® candies. The colors were so pretty and I just couldn’t get flowers out of my mind as a centerpiece. 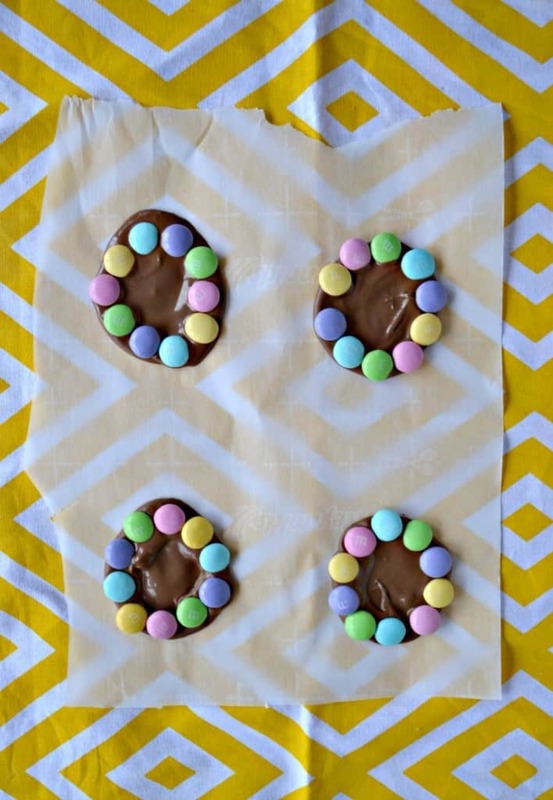 I melted some chocolate, spread it in small circles on parchment paper, and then placed Pastel M&M’S® candies around the outside edge. Then I placed one of the Spring Mixed Minis in the middle of the circle. I love this bag of Spring Mixed Minis because it includes all of my favorites in one bag. 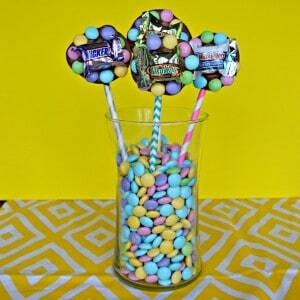 Next I used the melted chocolate to “glue” the candy flowers to the colorful straws. The straws served as the flower stems. I gathered all of the straws together and stuck them into the vase filled with Pastel M&M’S® candies. Not only was this centerpiece festive and colorful, I love that it’s edible! I think I’m going to make 2 or 3 of these arrangements in different sized vases for Easter. Everyone will enjoy munching on a candy “flower” while waiting for dinner and the arrangements will really brighten up the dinner table. 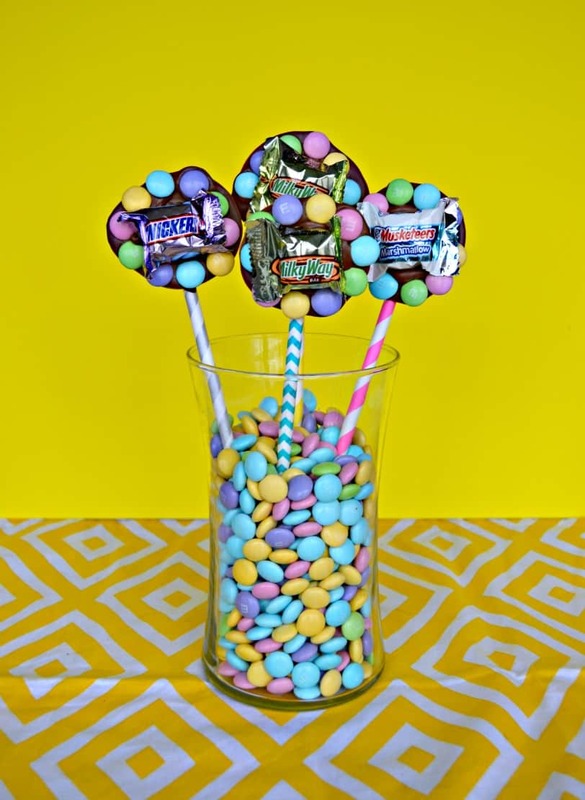 Make this fun and festive Edible Easter Centerpiece using Pastel M&M'S® candies and Mars Spring Mixed Minis. Clean the flower vase with soap and water and allow to air dry. 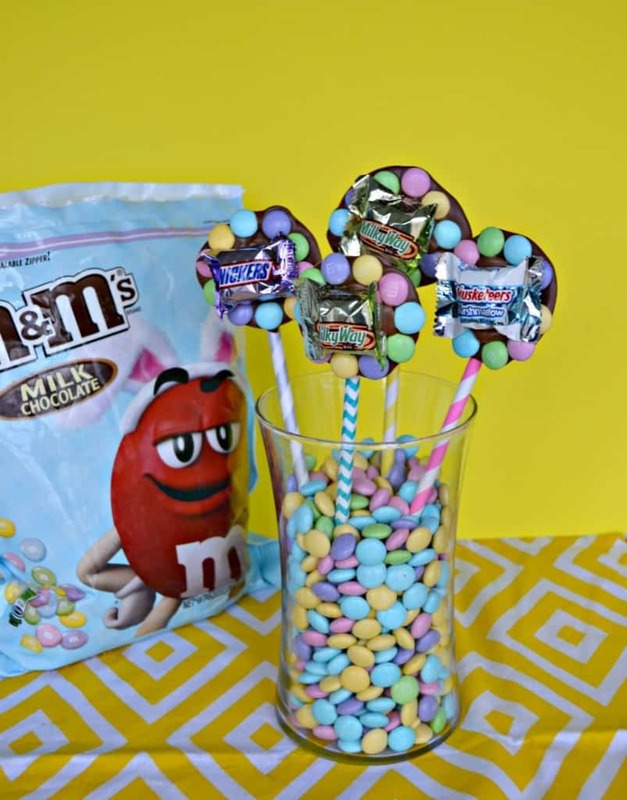 Pour 2 cups of the Pastel M&M'S® candies into the vase and set aside. Place half of the chocolate melts in a microwave safe bowl and microwave in 20 seconds increments, stirring after each heating, until it is totally melted. 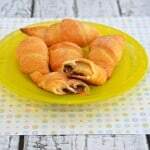 Using a spoon spread a teaspoon of melted chocolate in a 1½ inch circle on a piece of parchment paper. 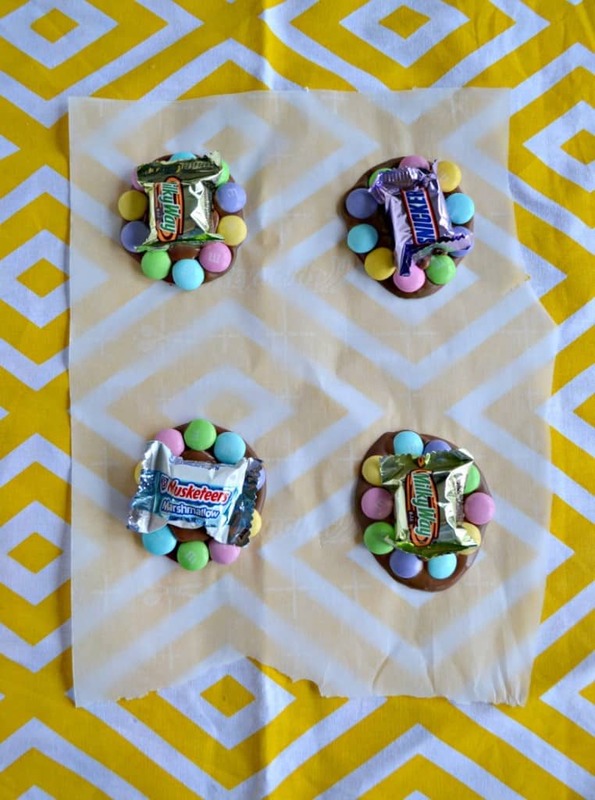 Place Pastel M&M'S® candies around the outer edge of the chocolate and then put one of the Mars Spring Mixed Minis in the middle. Repeat until you have 12 "flowers". Allow the chocolate to harden for 10 minutes. Carefully remove the chocolate flowers from the parchment paper and flip them over. Set aside. Place the remaining chocolate melts in a microwave safe bowl and microwave in 20 seconds increments, stirring after each heating, until it is totally melted. Using a spoon spread melted chocolate on the top 1 inch of each straw and stick it to the back of each chocolate flower. Allow chocolate to harden for 10 minutes. 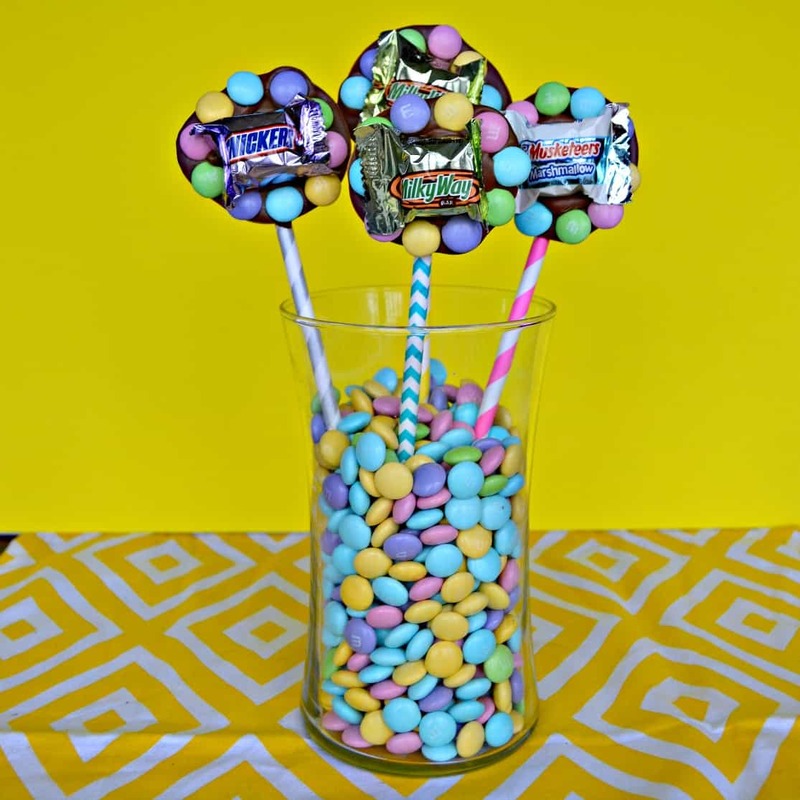 Carefully pick up all 12 straws and arrange them in the vase as flowers for a fun and festive Edible Easter Centerpiece!